Affordable RV Rental Companies in New Zealand. They size doesn’t matter but sometimes it really does. If you have a group of mates or just want the super convenience of having everything you need in your vessel to travel New Zealand, then renting an RV is definitely worth considering. However, hiring an RV in New Zealand is not exactly a cheap way to travel New Zealand but you can definitely cut the costs by comparing the right RV rental companies. With that in mind, we have put together this list of the best budget RV rentals in New Zealand! However, if you are trying to stick to a tight budget when travelling New Zealand, then consider choosing a smaller campervan which will greatly reduce the daily rate of your rental. 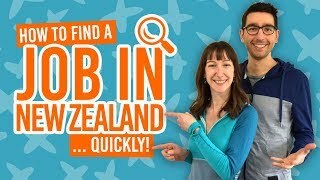 Take a look at The Best Budget Campervan Rentals in New Zealand for a wider offering of campervan types for a low price. Season effects the daily rate of RV rentals with summer being the most expensive time to rent and winter being the cheapest. All the RV companies listed below have certified self-contained vehicles meaning you can freedom camp for free where permitted. Most RV rental companies require drivers to be over 21 years old. Find out more in Age Restrictions When Renting a Vehicle in New Zealand. Be aware of the extra fees such as one-way fees for dropping off the vehicle is a different place to the pick-up location. For more information, check out How Much Does it Cost to Rent a Car in New Zealand? Most RVs in New Zealand are diesel which your rental company is likely to incur a diesel tax charge (RUC) to your rental price. For more things to be aware of when renting an RV in New Zealand, head on over to 10 Things You Need to Know About Camper Van Rental in New Zealand. When budgeting for a RV trip around New Zealand, it’s the extra costs that can add up. With Wendekreisen, they eliminate the no one-way fee and RUC (road user charge for diesel) which can save you a huge amount on your RV rental in New Zealand. 2-berth, 4-berth and 6-berth motohomes. Road Runner Rentals often has affordable daily rates on their motorhome rental vehicles so are well worth adding to your RV rental comparison. A range of Mercedes Sprinter or Ford Transit motorhomes either 2-berth, 4-berth or 6-berth. One of the most popular rental brands in New Zealand, Jucy Rentals also offers two types of motorhomes in their fleet: the Casa and the Casa Plus. Depending on the season, these vehicles are pretty affordable. Fiat Ducato motorhomes either 4-berth or 5-berth. Vehicle age range: 2 to 5 years old. Of course, if looking for an affordable RV in New Zealand you look at Affordable Motor Home Rentals. Their vehicles are a little older giving them the cheaper price tag. Motorhome options by Ford sleeping either 4-berth or 6-berth. Vehicle age range: 10 – 11 years old. Among their budget range of campervans, Chilli Rentals also offers a motorhome ideal for 2-3 people road tripping around New Zealand. Note that there is a NZ$150 booking fee. Ford Transit motorhome which is 3-berth.